A former Minister of State for Defence, Musiliu Obanikoro, has returned N100 million to the Nigerian government following his arrest by the Economic and Financial Crimes Commission, EFCC, PREMIUM TIMES has learnt. Sources close to the former minister and others at the anti-graft agency confirmed the payment. Our sources said the EFCC chairman, Ibrahim Magu, rejected the offer and asked for more return by the embattled former senator. Mr. Magu, sources said, demanded that the former minister sign an undertaking to pay back N600 million within a stipulated time. The former minister rejected the demands, saying he had no means of raising such an amount. But the source said Mr. Obanikoro, nonetheless, continued to cooperate with his interrogators. 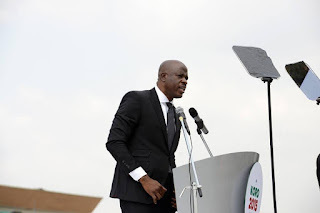 The EFCC spokesperson, Wilson Uwujaren, confirmed that Mr. Obanikoro had indeed returned some money. He, however, said the EFCC was still verifying the payments and continuing its investigation. Mr. Obanikoro was remanded in custody after turning himself in to the anti-graft agency on October 17. He is accused of accepting more than N2 billion from the embattled former National Security Adviser, Sambo Dasuki.